Most consumers who listen to music through their personal devices don’t hear much of the nuance and detail that was meticulously crafted and constructed during the recording process in the studios. Sure, they “listen” to their music through their headsets and enjoy it enough to sing and keep listening to it, but they really don’t “hear” the highly detailed and immersive sounds which recording engineers have meticulously captured. There is quite a lot lost during the journey from that was faithfully recorded initially in the music studio to the path of the consumer’s ears. 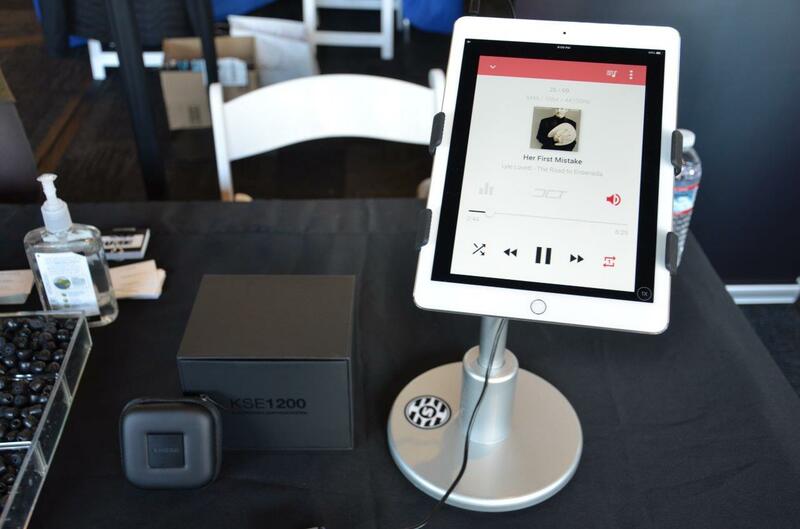 At the most recent Pepcom Digital Experience show in San Francisco, some of the most cutting edge companies displayed their latest mobility wares, and featured a few audiophile manufacturers thrown into the mix, which was a refreshing change. Problem was that some of the companies couldn’t instantaneously demonstrate how good their audio products were since the surrounding booths would drown each other out and no one would be able to hear anything in the room. Luckily, at the Shure booth, they didn’t have that issue. 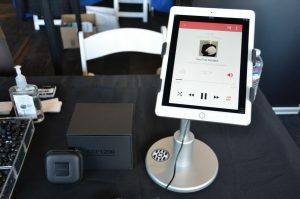 Their audio demo was quite minimalist with a table that included an iPad attached to their KSE1200 analog Electrostatic Earphone System. When I put those little earphones on, the sound was so pure and lifelike that I felt I was put right in the actual recording studio alongside with singer Lyle Lovett and his band. I could hear every little acoustic detail from his band, along with every breath that Lyle took while singing. This demonstrated to me that this is as honest as music is going to get. Even coming from the mainstream iPad, it was still unbelievable that the sound could sound so true. My initial impression was how could something so light and small put out such detailed and realistic lifelike sound coming from these tiny little 5.8 ounce earphones? It was disbelief for me for the first few minutes, and then I just surrendered to the music and just could not stop listening. Not only that, but these lightweight earphones were extremely comfortable. There was never an issue with “headphone fatigue” like other headphones I have tried on before. After the first minute or so, I almost forgot I had them in my ears all together once I started hearing the music. I really got into the music while I was moving and a grooving. I was gettin’ down like James Brown and I’m sure the other fellow journalists around me probably thought I was a nut or just overreacting around the Shure booth to get some attention, but I was most certainly not. I was so immersed with the music making that was produced through this system and was listening carefully to hear if I could discover any imperfections at all, which never happened. This is as close to hear what the sound engineers hear in the studio. Nothing to obstruct between your ears and the music. It was just me and the music. Pure and simple. Actually, the KSE1200 Electrostatic Earphone Systems aren’t new with Shure. 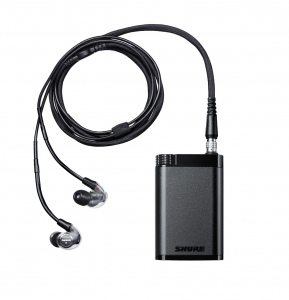 According to Sean Sullivan, who gave me the demo in the booth, he explained that the Shure KSE1200 is the second product in Shure’s lineup of the Electrostatic Earphone Systems, but is the same system as the Shure KSE1500 (list price $2999) that included the same electrostatic amplifier and earphones, except that the KSE1500’s amplifier included a digital front end (a DAC; a screen on it, and also a DSP built into it). “So many people starting using the KSE1500 ($2999 list) with the analog input, but the price was still a hurdle for that. 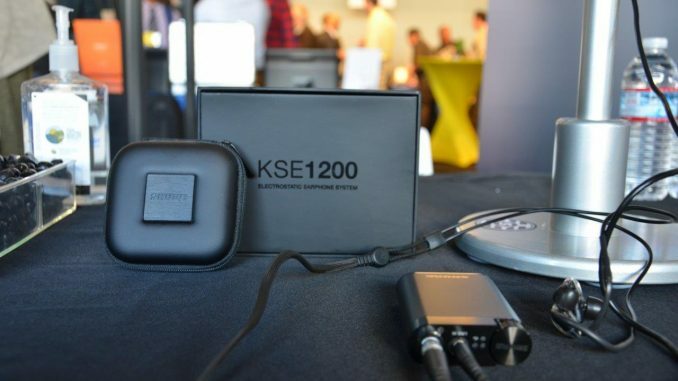 The KSE1500, and now the KSE1200 both have an analogue input and the same circuity, literally the exact same electrostatic earphones for $1,000 less. 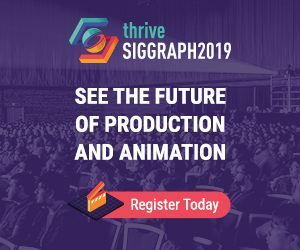 Takes all of the digital front end and stream additional components out of the mix that people really already have in their players these days,” Sullivan noted. Nowadays, most people don’t need the additional components that were built into the KSE1500 system, since many media devices already have these components built in. 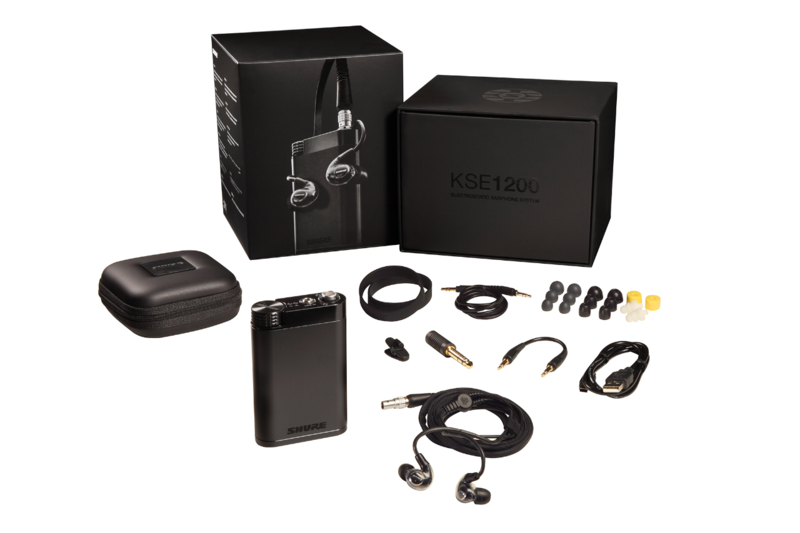 Bypassing these items, Shure was able to release the KSE1200 for $1000 less. Especially that more than ever, common everyday media players have started sending digital audio out from their devices. More and more of these players that have been coming out allows you to store massive lossless files already have great components, such as DACs, already built right into them. At $1,000 less, it becomes a pretty good deal. Especially, if you happened to have heard the KSE1500’s when they first came out a few years ago. 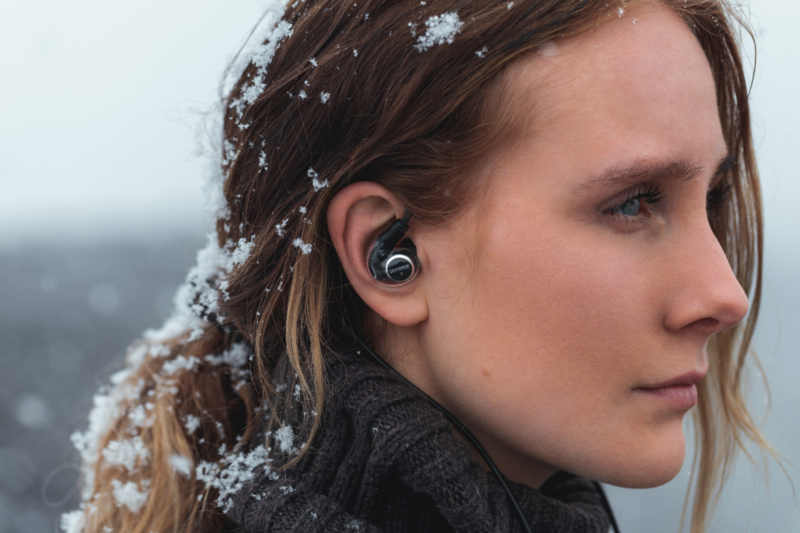 But what makes these earphones extremely special compared to all the other ones out there is the electrostatic circuitry technology. This is why these headphones sound like no other. I couldn’t agree more. It sounded out of this world…and I felt like I was transported to heaven, but went back to earth after taking the earphones off. Once you go to paradise, it’s tough going back.